A new summer exhibition in Kingston Museum which will give another opportunity to view some of Han Collection’s early 20th century prints as well as contemporary work. 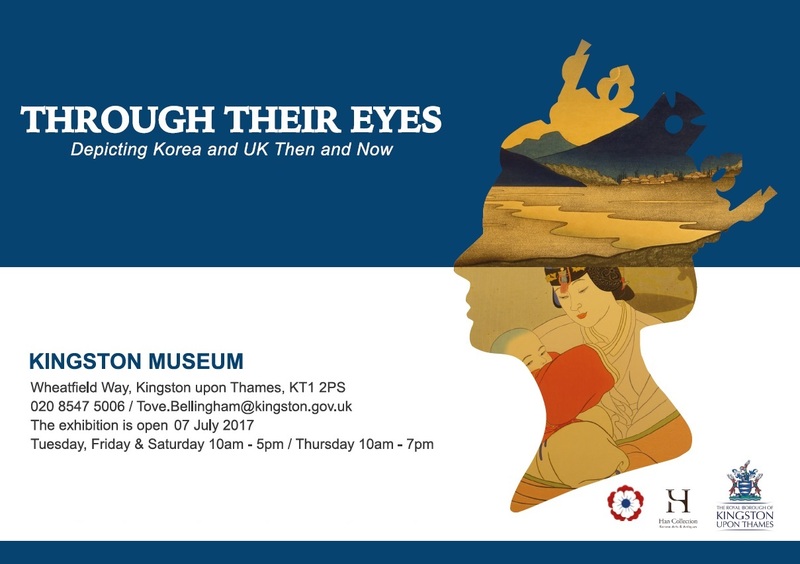 This exhibition celebrates the significant presence of the Korean community in the Royal Borough of Kingston upon Thames and UK-Korean cross cultural appreciation through historical and contemporary artworks. The exhibition showcases over 30 colourful woodblock and etching prints by Paul Jacoulet, Elizabeth Keith, Lilian May Miller and Willy Seiler. These reminiscent prints depict the life, landscapes and events of Korea from the 1920s to 1950s. Alongside these historical prints, four British artists (Matthew John Atkinson, Emma Corrall, Jason Verney and Richard Layzell) present their interpretation of contemporary Korea and specifically New Malden, which is home to the largest Korean community in Europe. Ten Korean artists who live in or have visited the UK, some of whom are Kingston residents, are exhibiting new artworks expressing their experiences and views of life in the UK through different subjects and media. Participating Korean artists are Sarah E. Choi, Eunjung Seo Feleppa, Doyu Min Seo, Sunim, Jee Oh, Yoojin Kim, Manchul Oh, Sungyoung Park, Boreum Oh, and Jeong Min Moon. The exhibition is generously sponsored by the Han Collection and British Korean Society. Korean art and craft activities for families and children will be hosted at the Museum throughout the duration of the exhibition. Talk by Jeyun Moon, Curator at the Korean Cultural Centre about Korean contemporary art in Korea and the UK. Korean traditional dress, Hanbok designer, Ji Hyen Park, showcases two sets of the special Korean dress, of both traditional and contemporary styles, which babies wear for their first birthday celebration.